Handmade in Japan the Wood Stone ligatures allow for the ultimate in resonance. High quality materials and state-of-the art design. 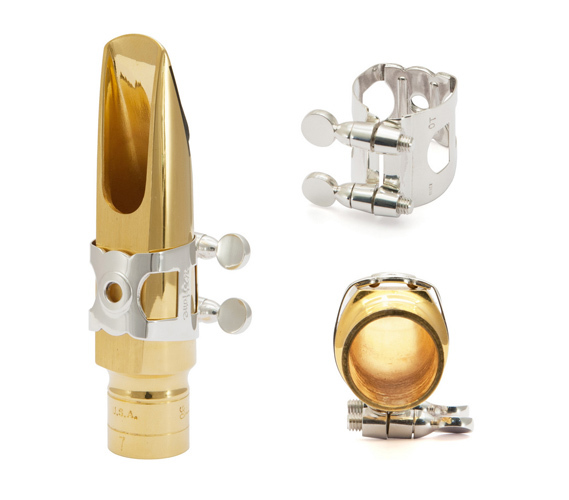 Wood Stone make 3 sizes for Link Metal Tenor Mouthpieces, this is the medium fit. We have found the medium size seems to fit vintage Link mouthpieces (Tone Master and Florida) better than the modern day Link models. Please contact us directly if you are unsure about which size is best for your Link.